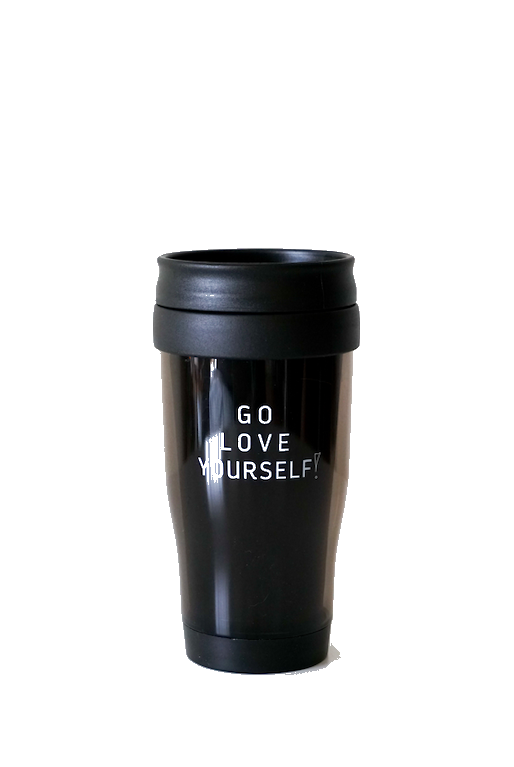 A Go Love Yourself mug for all of your rise & shine, coffee, tea, matcha, hot chocolate or morning water needs! This 16-ounce insulated tumbler features a twist-on, slide-lock lid to prevent spills on the go. A mindful hand washing is recommended!